Active adult communities have been around for decades, and they provide a fantastic quality of life for those who are aged 55 and older. There are numerous positive aspects that come with senior living, ranging from being able to forge new friendships with those in your community, as well as a decrease in the costs of home ownership and maintenance; it truly is a life-changing experience. As more and more adults in the 55 and older community make the move to senior living, others are starting to take notice. Rivers Edge has become a top destination along the Delaware River in the Pocono Mountains for those seeking to upgrade their ease of life with luxurious and unique properties. 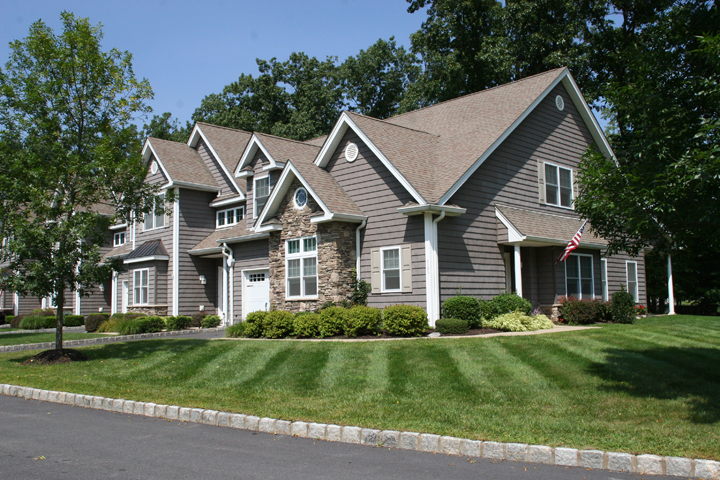 Take a look at what we have to offer, and get ready to experience one of the best senior communities in the Poconos and Catskills! Never before and never again will there be an opportunity along the beautifully scenic Delaware River like River’s Edge. Distinctively and thoughtfully designed, our 55-plus active adult community offers unparalleled, luxuriously- spacious and maintenance-free townhomes. Nothing rivals their style, comfort and open floorplans, all of which feature vaulted ceilings, lofts, fireplaces, central air and master bedrooms on the main level. Rivers Edge is a luxurious 55 and older active adult community that offers unique and custom townhomes that can be fitted to your personal needs! Set in the beautiful region of Pike County, our location is set in one of the most beautiful wooded areas and offers an experience unrivaled by others. When you choose to live here, you are choosing a way of life that offers variety, security and an exciting way of life. We’ve compiled video tours for our unit types. If you can’t swing by, have a virtual look at some of the unique and custom senior townhomes that we offer.